5 Year Roof roof leak coverage-click Platinum roof for details. Free Recall Chek for your appliances click Recall chek for details. Buyers and Seller Information from Residential Inspection llc. Most of the time you will never meet the Inspector before the inspection, with Residential Inspection LLC you can. Buyers- If you are about to look at homes (Especially if you are a First Time Home Buyer) a pre-buying meeting and overview with us can help you. 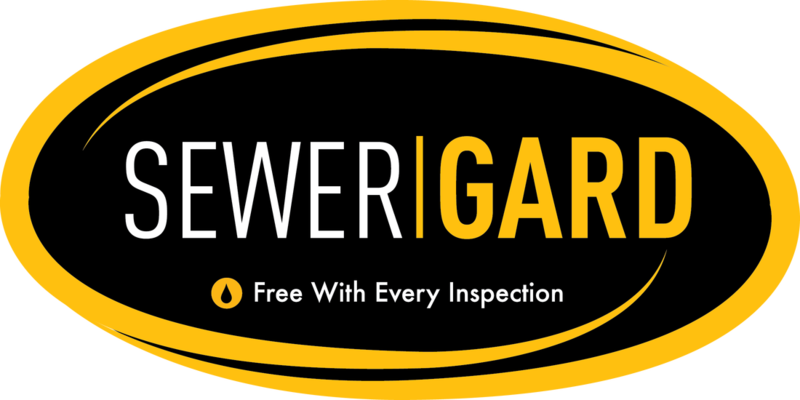 I will review with you what to expect, an overview of The Home Inspection report, different inspection packages, and have us at the ready for when you go to contract. After we meet and you select your home, you can call us to set up an inspection date, having already gotten to know you and your needs your call becomes a scheduling priority.Plus with Residential Inspection llc warranties are included with your full Home Inspection. Sellers-Before you list your home I can discuss with you to review the Home Inspection process, the warranty you can offer your buyers and the optional Home Warranty where you can offer 18 Months of coverage for the 12 month fee. This report will be yours for you to show to your prospective buyers that you are prepared to sell your home and put your home at an advantage over other sellers. Knowing your home has been inspected by a certified licensed Home Inspector from Residential Inspection llc will save any 11th hour negotiation and minimize delays during the contract period. Residential Inspection llc is here to serve you the client -buyer or seller. During the Inspection we encourage you to be at the Inspection with us and ask questions while I am there. After the inspection and when the report is submitted we will review and answer any additional question you may have. Understanding that everyone's schedule is different, we schedule appointments 7 days a week around buyers/sellers and realtors schedule for access. Our Coverage area is Central Florida and within a 60 mile radius we touch 186 zip codes and Service Volusia, Seminole, Lake, Orange, Flagler, Osceola, Marion, Brevard Counties and a few more Counties. Not sure if we cover your area? Call us you never know: 386-532-4677, 7 days, 7am-10pm. Knowing that the 7/10/14 day inspection period is critical, our reports are delivered the same day and or within 24 hours upon completion of the inspection unless further research is needed. Excluding water testing,air quality testing and wdo/termite which is done by a 3rd party lab/contractors. For the most part this is a transaction that you might never meet with the inspector until the day of the inspection. We offer a pre -inspection meeting and a review so that you are comfortable with the process. Wind Mitigation and 4 point Inspections are an essential inspection that focus on critical components of your home and if Standards/requirements are met it may help reduce your Home Owners Insurance Policy as much as 70%. Click the What to Expect(here or button below) to see What to expect during your Inspection. Our pricing is designed to maximize your Home inspection and to get the most amount available for your Insurance premium deduction which in most cases will pay for the inspection in savings multiple times. Recent example- 1994 built home 2600 sq ft 4 bedroom 3 bath, in Deltona, New roof replaced 2006 to new code,after addition was added on. A thorough Home Inspection, Wind Mitigation Inspection and 4 point Inspection with Pool and Spa, was performed between savings on insurance and a repair saved the buyer $8900. and approx $4,000 per year on renewals. Cost of the inspection was $475 based on sq footage and package. Don't underestimate the value of a thorough home inspection. It may be the difference between buying a home/qualifying for the mortgage,cash flow if major repairs are needed, and having the home insured or not; if not insurable it would disqualify the mortgage. What makes us different from other Inspectors? We schedule and complete inspections 7 days a week and on holidays. Where as most of the time you will not meet the inspector until the day of the inspection with Residential Inspection before you sign the agreement and before you pay we can meet in person to review the process, review the documents, agreements and if you have a home selected input information on the home. This meeting is for clients within our coverage area. Should an in-person pre meeting not occur we will review all documents over the phone where we will send you a PDF file with all documents and additional information from the State of Florida, HUD and information on Wind Mitigation and checklists to use while shopping for your home and a final checklist prior to closing. EVERY NOW AND THEN YOUR SELECTED HOME WILL NOT CLOSE. You will have already paid for an inspection on the first house, we will offer you a discount on the second house you place under contract. The second home inspection you choose needs to be equal to or greater than the first inspection you paid for and put under contract within 6 Months of first inspection. We have packages for the client who wants everything or you choose inspections as you need them. All First time buyers will receive a NOW THAT YOU HAD A HOME INSPECTION IN FLORIDA, maintenance manual with overview on maintenance of your home. For Sellers- we offer a 2 home package a pre-list inspection and a new home inspection package for homes in our coverage area. Free Membership to Abenity- Access to thousands of locations and outlets with discounts in travel, shopping, restaurants and retail stores and service centers. Homeowner Newsletters- a monthly informative maintenance and information on the home we inspect based on the report and general how to's. Personally working in the Mortgage Field Service Industry for years for Institutions I have completed a few thousand visits and inspections for: FNMA, VA, HUD and other Lender Inspections. To meet Lender guidelines for pre, during and post foreclosure properties.